In 10 days, a man by the name of Jefferson Beauregard Sessions III will most likely become the Attorney General of the United States. Senator Sessions, from Alabama, was named after his father, who was named after his father, who was named after Jefferson Davis and Pierre Gustave Toutant Beauregard. Jefferson Davis was, of course, the white-supremacist president of the Southern Confederacy that left the United States to preserve and expand the institution of slavery. His middle name, Beauregard, was taken after General Beauregard, who quit as superintendent of West Point to command the first Confederate army at Fort Sumter at the beginning of the U.S. Civil War. This Alabama-born conservative will be taking over the Department of Justice from Loretta Lynch and prior to that, Eric Holder, the first and second Black persons to hold the position. Although open to various critiques, both Holder and Lynch investigated police corruption and brutality, brought litigation to defend voting rights, attempted to defeat state immigration laws that further criminalized undocumented immigrants and stopped defending the Defense of Marriage Act, which limited LGBTQ legal rights. Many liberals and progressives are now trying to imagine what an Attorney General Sessions Justice Department looks like. Based on what we know about Sessions, and not just his name, there is plenty to worry about. Expect the Justice Department under Sessions to switch focus from protecting voting rights and enforcing the gutted Voting Rights Act to bringing cases against voter fraud. Studies have continually shown that this is a non-issue. In an Aug. 16, 2014, article for The Washington Post, Loyola Law School professor Justin Levitt, at the time on leave to work with the Department of Justice overseeing voting, wrote that he has been tracking allegations of voter fraud for years, including any “credible allegation that someone may have pretended to be someone else at the polls, in any way that an ID law could fix. The conservative Sessions suffered one of his most humiliating defeats in 1985 when he was the United States attorney in West Alabama. Federal prosecutors have great flexibility in deciding what cases to bring and Sessions chose to prosecute three Black voting rights activist, one a former adviser to Dr. King during the Civil Rights Movement in the 1960s, accusing them of voter fraud. The case fell apart as most witnesses took the stand saying the three activists helped them fill out ballots willingly and according to their direction. Both actions are within the law. The defendants were acquitted on all charges. 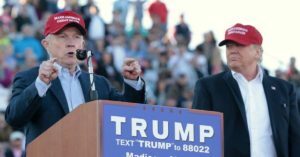 Until this day, Session claims the prosecution was necessary and just and according to the New York Times source, he stated he would bring the same charges again. Sessions is part of the ultra-right wing of his party that looks to halt demographic changes by limiting access to the polls of Black and brown people. Sessions will use the power of the office to slow down prosecutions of voting rights cases and bring some “show” cases in an attempt to highlight alleged voter fraud. Sessions has publicly questioned if the 14th Amendment of the Constitution actually conveys citizenship to anyone born in the United States. Sessions once remarked, “I’m not sure exactly what the drafters of the [14th] amendment had in mind, but I doubt it was that somebody could fly in from Brazil and have a child and fly back home with that child, and that child is forever an American citizen.” The 14th Amendment leaves no room for interpretation in that regard. Adopted in 1868 after the Civil War, the amendment granted citizenship to “all persons born or naturalized in the United States.” Sessions is so conservative on this issue that he is opposed to almost any lengthy stay of immigrants. He has been against guest-worker programs for immigrants and visa programs for foreign workers in science, math and high-tech. Sessions has argued that immigrants take billions in welfare payments and take American jobs. Like Trump, he thinks immigrants are mostly criminals, he opposes any pathway to citizenship and he wants Trump to build that wall. Look for Sessions to work closely with Republican-held state governments in pushing draconian laws and procedures to support the round-up and prosecution of immigrants en masse. He also will immediately stop defending any prior immigration-focused executive orders from President Obama. Sessions is a law-and-order man. He’s the law and will give the orders. He has been opposed to decriminalizing drugs and to legalizing marijuana. With the DEA under him, Sessions will have the ability to override state law and enforce federal prosecutions in this area. He has stood against reducing the prison population and has blocked bipartisan legislation that would reduce long sentences for nonviolent crimes. Sessions has even endorsed the return of “voluntary” chain gangs. While the Justice Department under President Obama has started investigations of over 20 police departments for civil rights abuses and has placed several under receivership for their actions, expect Mr. Sessions to end this form of investigation and end all ongoing investigations of local police departments for patterns of abuse. The Executive Director of the Fraternal Order of Police has publicly stated that he has a good working relationship with Senator Sessions. Sessions will stand behind the police on all matters and will push the Department of Justice back toward the era of Plessy v. Ferguson.